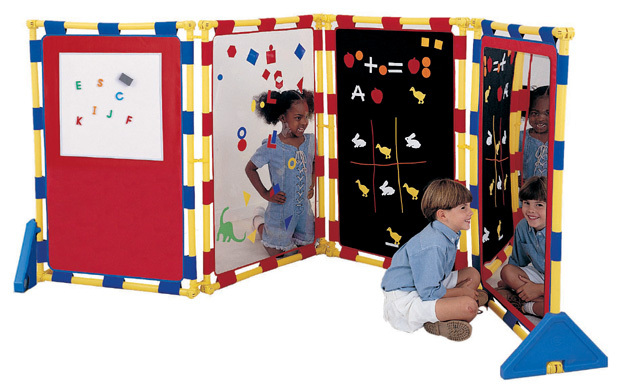 * 4 Panel Set includes Art Display Panel, plus Fuzzy Loop (color may vary),Transparent and Mirror PlayPanels. * Each panel is a single activity, but together a center for multiple use, plus space defining barriers. * Cantilever Legs included for stability. * Attachments shown in picture not included. * Dimensions: 60" x 48"